In 2006, city officials in Wilson took a gamble on their future and decided to invest in a world-class, high-speed internet network. In 2013 the decision was made to become North Carolina’s first Gigabit City, which was inspired by a Federal Communications Commission challenge to provide gig residential service. This gave Wilson the fastest residential internet in the state. Doubters worried that this level of high-speed internet was overkill, and naysayers claimed that a city of Wilson’s size didn’t need and couldn’t support it. Wilson is proving skeptics wrong, as collaborations between public and private organizations charter innovation in Wilson, and proponents of the city-owned fiber optic network (named Greenlight) use it as a building block for a brighter tomorrow. 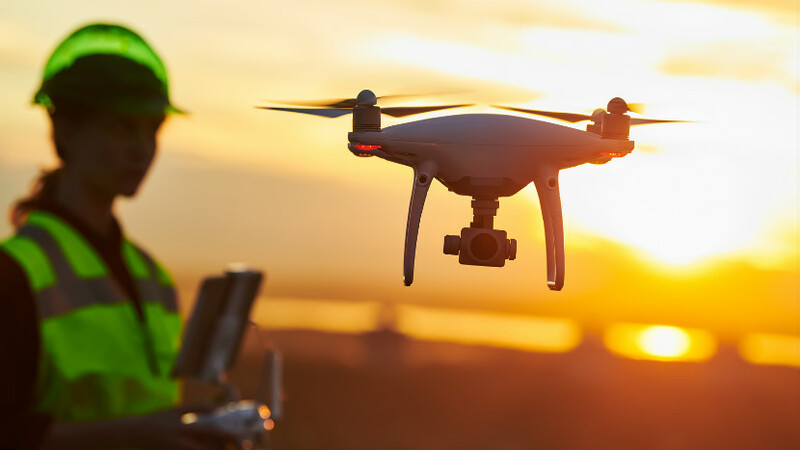 An example of this innovative collaboration is a “smart city” app that Wilson is developing with the help of a National Science Foundation grant and a drone company called Triangle UAS LLC. UAS stands for “unmanned aircraft system,” which is another name for a drone. The app will use drones to increase efficiency and effectiveness in city services. Wilson’s fire and police departments, for example, can use the smart city app to get real-time images of an emergency situation like a fire or crime scene. They believe this will help them know how to best deploy resources when it matters most. Hunt Bowers, director of flight operations for Triangle UAS, believes Wilson’s Greenlight gigabit internet is what made the project possible. Despite Triangle UAS’s base in Raleigh on N.C. State University’s campus, both Bowers and Triangle UAS president and founder Taylor Kerby are from Wilson, making the partnership even more personal to them. Both are also involved with Wilson’s Innovation Hub, which is currently being built with the help of a $1.1 million grant from the Golden LEAF Foundation, an organization that provides funding to tobacco-dependent, economically distressed, and rural areas of the state. Bowers and Kerby plan to be tenants of the Innovation Hub when it opens. When asked about why Greenlight specifically makes this app possible, Bowers said that it enables users to transfer large amounts of data quickly. “If you want to stream high-definition video from the drone, for example, that’s a really large data file. You need that speed [of Greenlight] in order to have low latency and stream it in real time,” he said. After this large file of streaming video is created from the drone, it is then transferred to an incident command trailer. This high-tech trailer is hardwired directly to the fiber optic system, and government officials, including firefighters and police officers, can have immediate access to view and send this data anywhere. The app allows them to have an aerial view of their entire region of responsibility, making this an invaluable tool. By creating an infrastructure for the fastest internet in the state, Wilson has joined a number of other municipalities nationwide with over 1 Gbps internet speed. Locations like these are able to compete for specific funding and projects that others cannot. The $10,000 grant that makes up part of Wilson’s smart city app project came from U.S. Ignite, a subsidiary of the National Science Foundation. U.S. Ignite runs the Smart Gigabit Communities project and gives numerous grants of this kind. Without Greenlight, such funding for Wilson would not have been possible. A lot of the talks that led to the smart city app project, and others, occurred during initial Gig East events. These community-based events bring together leaders from around Wilson, including business leaders, tech innovators, nonprofit administrators and government officials. Leaders discuss how innovation can influence Wilson’s future. It’s important to note that the process of making Wilson a “smart city” is not limited to the UAS smart city app. Wilson has several other projects in the pipeline that leaders are excited about pursuing, and the Innovation Hub is one that they hope will not only be evidence of such progress, but will, in turn, lead to more projects not yet imagined. Wilson’s business and political leaders are optimistic about the city’s future. The sense is that by leveraging their world-class infrastructure, its proximity to urban centers and highways, and the cost savings associated with being a small town, Wilson is only just beginning to see success from its innovative projects and collaborative partnerships. And according to Bowers, the decision to take a risk on gigabit internet has proven worthwhile.